平成19年度電気通信大学学生表彰受賞, 福嶋 政期, 2008. 3. 24. Jury Recommend Works in Art Division. Ants in the Pants, 第12回文化庁メディア芸術祭, 2009. 2. 4. 平成21年度電気通信大学学生表彰受賞．福嶋 政期, 2010. 3. 24. インタラクティブ論文賞ファイナリスト. 西村 奈令大, 石井 明日香, 佐藤 未知, 福嶋 政期, 梶本 裕之, “自己の心拍を触覚提示するデバイスの検討”, インタラクション2012, 情報処理学会, 6 pages, 2012. 3. 17. 優秀講演賞．渡辺 亮, 齋藤 直輝, 森 雄一郎, 蜂須 拓, 佐藤 未知, 福嶋 政期, 梶本 裕之. サーマルグリル錯覚を用いたローラー型痒み抑制器の開発, 第13回計測自動制御学会システムインテグレーション部門講演会, pp.2039 – 2040, 2012. 12. 20. MVE賞. 田中 恭太郎, 福嶋 政期, 苗村 健. 可視光通信プロジェクタの多重化に関する基礎検討, 信学技報 MVE2013-23, 電子情報通信学会, pp. 29 – 34, 2014. 10. 9. デモ発表賞．伏見 遼平, 福嶋 政期, 苗村 健. 笑い声呈示により自然な笑顔を撮影するカメラの提案, エンタテインメントコンピューティング2014, 情報処理学会, pp.26 – 31, 2014. 9. 14. MVE賞．平木 剛史, 高橋 一成, 福嶋 政期, 苗村 健. 可視光通信プロジェクタを用いた映像上における群ロボット制御の基礎検討, 信学技報, MVE2015-3, vol. 115, no. 76, 電子情報通信学会, pp. 31 – 36, 2015. 10. 8. インパクト賞，木原 快, 福嶋 政期, 苗村 健. ロボットのうなずき表出に向けた人のうなずき行動の分析, ヒューマンインタフェースシンポジウム, 2A1-3, ヒューマンインタフェース学会, 2016. 9. 9. 経済産業省 Innovative Technologies, 平木 剛史, 福嶋 政期, 苗村 健, フィジタルフィールド, 2016. 10. 27. ヒューマンインタフェース学会論文賞, 伏見 遼平, 福嶋 政期, 苗村 健, “爆笑カメラ：笑い声により自然な笑顔を撮影するカメラシステム”, ヒューマンインタフェース学会論文誌, vol. 18, no. 3, pp. 153 – 162, 2017. 3. 10. MVE賞．荒見 篤郎, 平木 剛史, 福嶋 政期, 苗村 健. 可視光通信プロジェクタの高画質化・高効率化を実現する符号化方式, 信学技報 MVE2017-62, vol. 117, no. 392, pp. 307 – 312, 2018. 1. 19. MVE賞．濱田 健夫, 福嶋 政期, ハウタサーリ アリ. 場所に関連した単語の音声提示による偶発的語彙学習手法, 信学技報 MVE2017-71, vol. 117, no. 485, pp. 29-33, 2018. 3. 8. 福嶋 政期, 橋本 悠希, 野澤 孝司, 梶本 裕之. 笑い増幅器：笑い増幅効果の検証, ヒューマンインタフェース学会論文誌「感性、感情、共感」特集, Vol. 12, No. 3, pp. 1 – 9, 2010. 8. 25. 高橋 宣裕, 國安 裕生, 佐藤 未知, 福嶋 政期, 古川 正紘, 橋本 悠希, 梶本 裕之. 口腔内動作を入出力とする触覚コミュニケーションデバイス, ヒューマンインタフェース学会論文誌, Vol. 13, No. 4, pp. 53 – 62, 2011. 11. 25. 福嶋 政期, 粟生 馨奈子, 中田 明日香, 梶本 裕之. 心動：音響に同期した耳介への触刺激による情動の増幅, 日本バーチャルリアリティ学会論文誌, vol. 19, no. 4, pp. 467 – 476, 2014 12. 31. 平木 剛史, 小泉 実加, 周 磊杰, 福嶋 政期, 苗村 健, 可視光通信プロジェクタの表現力向上に向けたデータ転送と光源制御の研究, 日本バーチャルリアリティ学会論文誌, vol. 21, no. 1, pp. 197-206, 2016. 3. 31. 梶原 善之, 福嶋 政期, 会田 大也, 苗村 健. Tracky Notes: 個々の付箋を頑健に識別可能なマーカー, ヒューマンインタフェース学会論文誌, vol. 20, no. 1, pp. 57 – 66, 2018. 2. 福嶋 政期, 笑い増幅器, 関西大学 第3回 関大笑い講, 2009. 1. 9. 福嶋 政期. 情動インタフェースのエンタテインメントとコミュニケーションへの応用, 第七回クロスモーダルデザインＷＳ 〜“きもち”を動かす場をデザインする〜, 2014. 8. 29. 福嶋 政期. 実世界指向情報メディアと情動インタフェース, 早稲田大学大学院講義ヒューマンメディアテクノロジー, 2015. 10. 20. 福嶋 政期. 対話や情動を促す情報メディア, Diverse株式会社 定例会, 2016. 6. 28. 福嶋 政期. 実世界・人間指向情報メディア～投影型情報メディア，対話や情動を促す情報メディア～, 産総研 デジタルヒューマン技術協議会 第2回協議会, 2016. 7. 1. Keiji Sato, Yoshimi Sato, Michi Sato, Shogo Fukushima, Yu Okano, Kanako Matsuo, Sayaka Ooshima, Yuichiro Kojima, Rika Matsue, Satsuki Nakata, Yuki Hashimoto, and Hiroyuki Kajimoto. Ants in the Pants, In ACM SIGGRAPH 2008 new tech demos (SIGGRAPH ’08), Article 3, 2008. 8. Yuichiro Kojima, Yuki Hashimoto, Shogo Fukushima, and Hiroyuki Kajimoto. Pull-navi: a novel tactile navigation interface by pulling the ears. 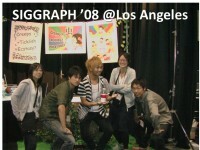 In ACM SIGGRAPH 2009 Emerging Technologies (SIGGRAPH ’09), Article 19, 2009. 8. Hiromi Yoshikawa, Taku Hachisu, Shogo Fukushima, Masahiro Furukawa, and Hiroyuki Kajimoto. 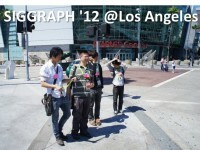 “Vection field” for pedestrian traffic control, In ACM SIGGRAPH 2011 Emerging Technologies (SIGGRAPH ’11), Article 21, 2011. 8. Shogo Fukushima, Hiroyuki Kajimoto. Chilly Chair: Facilitating an Emotional Feeling with Artificial Piloerection, In ACM SIGGRAPH 2012 Emerging Technologies (SIGGRAPH ’12), Article 5, 2012. 8. Leijie Zhou, Shogo Fukushima and Takeshi Naemura. Dynamically reconfigurable framework for pixel-level visible light communication projector, In Proceedings of SPIE 8979, Emerging Digital Micromirror Device Based Systems and Applications VI, 89790J 2014. 3. Shogo Fukushima and Takeshi Naemura. Wobble Strings: Spatially Divided Stroboscopic Effect for Augmenting Wobbly Motion of Stringed Instruments. 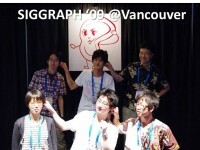 In ACM SIGGRAPH 2015 (SIGGRAPH ’15) Talks, 2015. 8. Shogo Fukushima and Takeshi Naemura. Wobble Strings: Spatially Divided Stroboscopic Effect for Augmenting Wobbly Motion of Stringed Instruments. 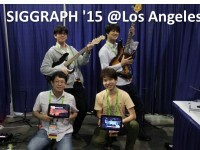 In ACM SIGGRAPH 2015 (SIGGRAPH ’15) Emerging Technologies, Article 26, 2015. 8. Shogo Fukushima and Takeshi Naemura. Wobble Strings: Spatially Divided Stroboscopic Effect for Augmenting Wobbly Motion of Stringed Instruments, In ACM SIGGRAPH 2015 (SIGGRAPH ’15) Posters, Article 14, 2015. 8. Takefumi Hiraki, Issei Takahashi, Shotaro Goto, Shogo Fukushima, and Takeshi Naemura. Phygital Field: Integrated Field with Visible Images and Robot Swarm Controlled by Invisible Images. 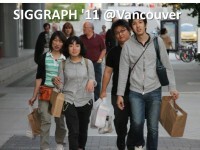 In ACM SIGGRAPH 2015 (SIGGRAPH ’15) Posters, Article 85, 2015. 8. Takefumi Hiraki, Shogo Fukushima, and Takeshi Naemura. Phygital Field: an Integrated Field with a Swarm of Physical Robots and Digital Images. In ACM SIGGRAPH ASIA 2016 (SIGGRAPH ASIA ’16) Emerging Technologies, Article 2, 2016. 12. Yuki Kuniyasu, Shogo Fukushima, Masahiro Furukawa, and Hiroyuki Kajimoto. Weight illusion by tangential deformation of forearm skin. 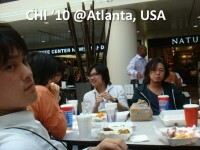 In Proceedings of the 2nd Augmented Human International Conference (AH ’11), Article 10, 2 pages, 2011. 3. Ryuta Okazaki, Michi Sato, Shogo Fukushima, Masahiro Furukawa and Hiroyuki Kajimoto. Tactile Enhancement Structure Mimicking Hair Follicle Receptors. 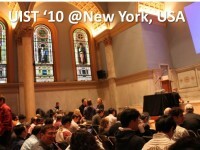 World Haptics Conference 2011, pp. 335 – 337, 2011. 6. Hiroyuki Okabe, Shogo Fukushima, Michi Sato and Hiroyuuki Kajimoto. Fingertip Slip Illusion with an Electrocutaneous Display. 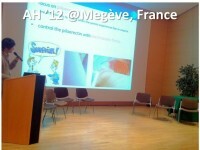 The 21st International Conference on Artiﬁcial Reality and Telexistenc (ICAT ’11), pp.10 – 14, 2011. 11. Maki Yokoyama, Yu Okano, Michi Sato, Shogo Fukushima, Masahiro Furukawa and Hiroyuki Kajimoto. Looming silhouette: an approaching visual stimulus device for pedestrians to avoid collisions. In Proceedings of the 3rd Augmented Human International Conference (AH ’12), Article 23, 4 pages, 2012. 3. Taku Hachisu, Michi Sato, Shogo Fukushima, and Hiroyuki Kajimoto. Augmentation of Material Property by Modulating Vibration Resulting from Tapping. EuroHaptics2012, vol.1, pp.173 – 180, 2012. 6. Yosuke Kurihara, Yuki Kuniyasu, Taku Hachisu, Michi Sato, Shogo Fukushima, and Hiroyuki Kajimoto. Augmentation of kinesthetic sensation by adding “rotary switch feeling” feedback. In Proceedings of the 3rd Augmented Human International Conference (AH ’12), Article 28, 2 pages, 2012. 3. Yosuke Kurihara, Taku Hachisu, Michi Sato, Shogo Fukushima, and Hiroyuki Kajimoto. Virtual Alteration of Body Material by Periodic Vibrotactile Feedback. IEEE Virtual Reality Conference, pp. 31 – 34 2013. 3. Narihiro Nishimura, Taku Hachisu, Michi Sato, Shogo Fukushima and Hiroyuki Kajimoto. Evaluation of a tactile device for augmentation of audiovisual experiences with a pseudo heartbeat. In Proceedings of the 4th Augmented Human International Conference (AH ’13), pp. 242 – 242. 2013. 3. Ryo Watanabe, Taku Hachisu, Michi Sato, Shogo Fukushima, Hiroyuki Kajimoto, Naoki Saito, and Yuichiro Mori. Development of roller-type itch-relief device employing alternating hot and cold stimuli. In Proceedings of the 4th Augmented Human International Conference (AH ’13), pp. 43 – 46, 2013. 3. Manami Katoh, Narihiro Nishimura, Maki Yokoyama, Taku Hachisu, Michi Sato, Shogo Fukushima, and Hiroyuki Kajimoto. Optimal selection of electrodes for muscle electrical stimulation using twitching motion measurement. In Proceedings of the 4th Augmented Human International Conference (AH ’13), pp. 237 – 238, 2013. 3. Ryuta Okazaki, Taku Hachisu, Michi Sato, Shogo Fukushima, Vincent Hayward, and Hiroyuki Kajimoto. Judged Consonance of Tactile and Auditory Frequencies, World Haptics Conference (WHC ’13), 2013, pp.663 – 666, 2013. 4. Yosuke Kurihara, Taku Hachisu, Michi Sato, Shogo Fukushima, and Hiroyuki Kajimoto. Periodic tactile feedback for accelerator pedal control. World Haptics Conference (WHC ’13), 2013, pp.187 – 192, 2013. 4. Takefumi Hiraki, Shogo Fukushima, and Takeshi Naemura. Sensible Shadow: Tactile Feedback from Your Own Shadow. 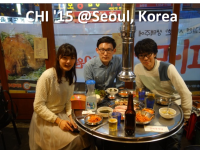 7th Augmented Human International Conference (AH ’16), Article no. 23, 2016. 2. Takefumi Hiraki, Shogo Fukushima and Takeshi Naemura. Projection-based Localization and Navigation Method for Multiple Mobile Robots with Pixel-level Visible Light Communication. IEEE/SICE International Symposium on System Integration (SII 2016), pp.862 – 868, 2016. 12. Taku Hachisu, Michi Sato, Shogo Fukushima, and Hiroyuki Kajimoto, “HaCHIStick: simulating haptic sensation on tablet pc for musical instruments application”, In Proceedings of the 24th annual ACM symposium adjunct on User interface software and technology (UIST ’11 Adjunct), pp.73 – 74, 2011.11. Narihiro Nishimura, Asuka Ishi, Michi Sato, Shogo Fukushima, and Hiroyuki Kajimoto. Facilitation of affection by tactile feedback of false heratbeat. 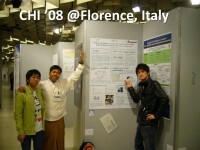 In Proceedings of the 30th Annual ACM Conference Extended Abstracts on Human Factors in Computing Systems (CHI EA ’12), pp. 2321 – 2326, 2012. 4. 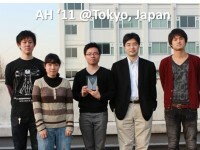 Hiroyuki Okabe, Taku Hachisu, Michi Sato, Shogo Fukushima, and Hiroyuki Kajimoto,. Quantitative evaluation of an illusion of fingertip motion. In Proceedings of the 2012 ACM international conference on Interactive tabletops and surfaces (ITS ’12), pp.327 – 330, 2012. 11. Maki Yokoyama, Taku Hachisu, Michi Sato, Shogo Fukushima, and Hiroyuki Kajimoto. Control of ridge by using visuotactile cross-modal phenomenon. 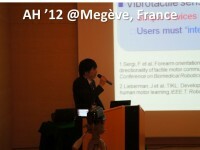 In Proceedings of the 2012 ACM international conference on Interactive tabletops and surfaces (ITS ’12), pp. 335 – 338, 2012. 11. Shinya Kudo, Hiroyuki Okabe, Taku Hachisu, Michi Sato, Shogo Fukushima, and Hiroyuki Kajimoto. Input method using divergence eye movement. 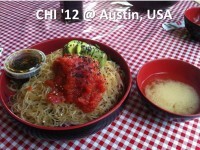 In Proceedings of the 31st Annual ACM Conference Extended Abstracts on Human Factors in Computing Systems (CHI EA ’13), pp. 1335 – 1340, 2013. 4. Ryo Watanabe, Naoki Saito, Yuichiro Mori, Taku Hachisu, Michi Sato, Shogo Fukushima, and Hiroyuki Kajimoto. Evaluation of roller-type itch-relief device employing hot and cold alternating stimuli. In Proceedings of the 31st Annual ACM Conference Extended Abstracts on Human Factors in Computing Systems (CHI EA ’13), pp.403 – 408, 2013. 4. Ryohei Fushimi, Shogo Fukushima, and Takeshi Naemura. Laughin’ Cam: Active Camera System to Induce Natural Smiles. In Proceedings of the 33rd Annual ACM Conference Extended Abstracts on Human Factors in Computing Systems (CHI EA ’15), pp.1959 – 1964 2015. 4. Natsuko Yoshida, Shogo Fukushima, Daiya Aida, and Takeshi Naemura. Practical Study of Positive-feedback Button for Brainstorming with Interjection Sound Effects. In Proceedings of the 34th Annual ACM Conference Extended Abstracts on Human Factors in Computing Systems (CHI EA ’16), pp. 1322 – 1328, 2016. 5. Hayato Kihara, Shogo Fukushima, and Takeshi Naemura. Analysis of Human Nodding Behavior during Group Work for Designing Nodding Robots. ACM GROUP’16, pp. 433 – 436, 2016. 11. Yoshiyuki Kajiwara, Shogo Fukushima, Daiya Aida, and Takeshi Naemura. Tracky Notes: Trackable Sticky Notes for Indexing a Video of Meetings. ACM GROUP’16, pp. 425 – 428 , 2016.11. Satoshi Abe, Atsuro Arami, Takafumi Hiraki, Shogo Fukushima, and Takeshi Naemura. Imperceptible Color Vibration for Embedding Pixel-by-Pixel Data into LCD Images. In Proceedings of the 35th Annual ACM Conference Extended Abstracts on Human Factors in Computing Systems (CHI EA ’17), pp. 1464 – 1470, 2017. 5. 福嶋 政期，橋本 悠希，梶本 裕之. 水平振動を用いた机上群ロボットシステム. インタラクティブシステムとソフトウェアに関するワークショップ（WISS 2007）, 日本ソフトウェア科学会, 2 pages, 2007. 12. [対話発表賞 (2007.12.7)]. 福嶋 政期, 橋本 悠希, 梶本 裕之. 水平振動を利用した群ボタンロボの提案. 日本ロボット学会学術講演会第26回大会論文集, 4 pages, 2008. 9. 福嶋 政期, 橋本 悠希, 野澤 孝司, 梶本 裕之. 筋活動の計測を用いた笑いの増幅. インタラクション 2009, 情報処理学会, 2 pages, 2009. 3. 石井 明日香, 福嶋 政期, 橋本 悠希, 梶本 裕之, “空気圧変動による手掌部へのテクスチャ感提示”,日本バーチャルリアリティ学会 第14回大会論文集, 4 pages， 2009. 9. 石井 明日香, 福嶋 政期, 橋本 悠希, 梶本 裕之, “”手掌部へのテクスチャ感提示における質感向上手法”,第10回計測自動制御学会システムインテグレーション部門講演会, 4 pages， 2009. 12. 岡崎 龍太, 佐藤 未知, 福嶋 政期, 古川 正紘, 梶本 裕之, “体毛－毛包受容器構造を模した触覚増強機構”，日本バーチャルリアリティ学会第15回大会論文集, 4 pages，2010. 9. 岡野 裕, 福嶋 政期, 古川 正紘, 梶本 裕之, “周辺視野選択的な運動知覚を実現する視覚刺激(第2報) -複数運動提示のためのフロー検討-”，日本バーチャルリアリティ学会第15回大会論文集, 4 pages，2010. 9. 横山 牧, 岡野 裕, 福嶋 政期, 古川 正紘, 梶本 裕之, “出会い頭の衝突回避を目的とした周辺視野への接近感提示”，日本バーチャルリアリティ学会第15回大会論文集, 4 pages，2010. 9. 吉川 博美, 蜂須 拓, 福嶋 政期, 古川 正紘, 梶本 裕之, “歩行誘導における自己運動を用いたベクション場の設計”，日本バーチャルリアリティ学会第15回大会論文集, 4 pages，2010. 9. 山川 隼平, 加藤 寛士, 福嶋 政期, 古川 正紘, 梶本 裕之, “手掌部への触覚刺激による自己受容感覚拡張デバイス”，日本バーチャルリアリティ学会第15回大会論文集, 2 pages，2010. 9. 岡部 浩之, 大原 淳, 蜂須 拓, 古川 正紘, 福嶋 政期, 梶本 裕之, “電気触覚ディスプレイを用いた指先への滑り錯覚の提示”，日本バーチャルリアリティ学会第15回大会論文集, 2 pages, 2010. 9. 加藤 寛士, 福嶋 政期, 古川 正紘, 梶本 裕之, “音楽鑑賞による身体動作意志の筆記・描画作業への誘導”, エンタテインメントコンピューティング2010, 3 pages，2010. 10. 國安 裕生, 福嶋 政期, 古川 正紘, 梶本 裕之, “液体を注ぐ際の心地よさに着目した触覚ディスプレイの提案”，エンタテインメントコンピューティング2010, 3 pages，2010. 石井 明日香, 福嶋 政期, 古川 正紘, 梶本 裕之, “ファントムセンセーションを用いた手掌部への貫通感提示”, 第11回システムインテグレーション部門講演会(SI2010), 3 pages, 2010. 12. 山川 隼平, 加藤 寛士, 福嶋 政期, 古川 正紘, 梶本 裕之, “手掌への触覚提示により生起するバーチャルな倒立振子の再現”, 第11回システムインテグレーション部門講演会(SI2010), 3 pages, 2010. 12. 岡崎 龍太, 佐藤 未知, 古川 正紘, 福嶋 政期, 梶本 裕之, “体毛-毛包受容器構造に着目した触覚増強機構”，第11回システムインテグレーション部門講演会(SI2010), 3 pages, 2010. 12. 加藤 寛士, 福嶋 政期, 古川 正紘, 梶本 裕之, “ 錯触を利用した触覚的空間境界提示”, WISS2010 (Workshop on Interactive Systems and Software), 2010. 12. 岡部 浩之，大原 淳, 蜂須 拓, 古川 正紘, 福嶋 政期, 梶本 裕之, “電気刺激を用いた指先への滑り感提示”, 力触覚の提示と計算 第5回研究会, 4 pages，2010. 11. *福嶋 政期，梶本 裕之, “掌タッチパネル”, インタラクション2011, 4INH-14, 2 pages, 2011. 3. 岡部 浩之, 大原 淳, 福嶋 政期, 古川 正紘, 梶本 裕之, “電気刺激を用いた滑り感提示における指先の水平力と電気刺激の方向依存性”, 日本機械学会ロボティクス・メカトロニクス講演会2011, 2 pages，2011. 5. *福嶋 政期，梶本 裕之, ”掌と同化したタッチパネル”, CEDEC2011, 2011. 8. *福嶋 政期，梶本 裕之, “前腕部体毛の立毛制御による驚き感情の増幅”, 第16回日本バーチャルリアリティ学会大会, 4 pages, 2011. 9. 國安 裕生, 佐藤 未知, 福嶋 政期, 梶本 裕之, “前腕皮膚変形による腕動作伝達－前後方向の試作と評価－”，第16回日本バーチャルリアリティ学会大会, 4 pages, 2011. 9. 石井 明日香, 佐藤 未知, 福嶋 政期, 古川 正紘, 梶本 裕之, “手部触覚を用いた奥行き情報の提示”，第16回日本バーチャルリアリティ学会大会, 4 pages, 2011. 9. 橘 卓見, 岡部 浩之, 佐藤 未知, 福嶋 政期, 梶本 裕之, “注意領域への集中力向上を目的とした領域外における視覚刺激”，第16回日本バーチャルリアリティ学会大会, 4 pages, 2011. 9. 西村 奈令大, 粟生 加奈子, 石井 明日香, 佐藤 未知, 福嶋 政期, 梶本 裕之, “胸部への触覚提示を用いた好意の生起”，第16回日本バーチャルリアリティ学会大会, 4 pages, 2011. 9..
宇戸 和樹, 岡崎 龍太, 佐藤 未知, 福嶋 政期 梶本 裕之, “手部筋肉への機能的電気刺激を用いた指先への触覚提示”，第16回日本バーチャルリアリティ学会大会, 4 pages, 2011. 9. 渡辺 亮, 大原 淳, 國安 裕生, 佐藤 未知, 福嶋 政期, 梶本 裕之, “前腕部への触刺激に対する温度感覚の重畳”，第16回日本バーチャルリアリティ学会大会, 4 pages, 2011. 9. 粟生 加奈子, 石井 明日香, 福嶋 政期, 梶本 裕之, “耳介への触刺激による音響体験の増幅”，エンタテインメントコンピューティング2011, 6 pages，2011. 9. 栗原 洋輔, 國安 裕生, 蜂須 拓, 佐藤 未知, 福嶋 政期, 梶本 裕之, “腕立て伏せ時の「カチカチ感」付与による運動感覚の拡張”，エンタテインメントコンピューティング2011, 6 pages，2011. 9. 熊谷 真吾, 横山 牧, 佐藤 未知, 福嶋 政期, 梶本 裕之, “ソファを介した遠隔コミュニケーション”，エンタテインメントコンピューティング2011, 4 pages，2011. 9. 西村 奈令大，蜂須 拓，佐藤 未知，福嶋 政期，梶本 裕之, “心戯一体：疑似心拍提示を用いた視聴覚コンテンツ体験の拡張,” エンタテインメントコンピューティング2012，5 pages, 2012. 9. 上田 健太郎, 福嶋 政期, 飯田 誠, 苗村 健, “対面共同ウェブ検索支援システムRound-Table Browsingの実践利用”, 信学技報 MVE2013-25, vol. 113, no. 227, pp. 53 – 58, 2013. 9. *福嶋 政期, 苗村 健, “頸部への温熱刺激が音楽鑑賞に与える影響の基礎検討”, 日本バーチャルリアリティ学会第19回大会, pp.33 — 36, 2014. 9. 梶原 善之, 福嶋 政期, 苗村 健, “全周カメラを用いたグループワーク記録手法の基礎検討”, 日本教育工学会, 2a-101-05, pp.523 — 524, 2014. 9. 甲斐 貴之, 福嶋 政期, 苗村 健, “サブディスプレイを用いたグループワークにおける対面的情報共有の実践”, 信学技報, MVE2015-3, vol. 114, no. 487, pp. 9 — 14, 2015. 3. 小泉 実加, 平木 剛史, 福嶋 政期, 苗村 健, “可視光通信プロジェクタにおける複数光源の点滅制御”, 信学技報, MVE2015-11, vol. 115, no. 125, pp. 23 – 28, 2015.7. 吉田 夏子, 福嶋 政期, 会田 大也, 苗村 健: “効果音ボタンを用いたブレインストーミング支援システムの基礎検討”, 信学技報HCS2015-44, vol. 115, no. 185, pp. 19—24, 2015.8. 梶原 善之, 福嶋 政期, 会田 大也, 苗村 健: “全周映像を用いたグループワーク振り返り支援システムRONGの基礎検討”, HCGシンポジウム2015論文集, pp. 301 – 308, 2015.12. 荒見 篤郎, 高橋 一成, 平木 剛史, 福嶋 政期, 苗村 健: “空間分割型可視光通信におけるグレイ符号を拡張したマッピングによるMPPM方式の提案”, 信学総大, A-9-19, 2016. 3. 吉田 夏子, 福嶋 政期, 会田 大也, 苗村 健: “なるほどボタン：褒める効果音ボタンを用いたブレインストーミング支援システムの検討”，情処研報EC-39, no. 3, pp. 1 – 7, 2016. 3. 荒見 篤郎, 福嶋 政期, 苗村 健, “可視光通信プロジェクタの映像品質改善のための符号化方式の基礎検討， 第21回日本バーチャルリアリティ学会大会, 2016.9. 阿部 知史, 荒見 篤郎, 平木 剛史, 福嶋 政期, 苗村 健, “LCDカラー映像に情報 を重畳するための不可視な色変調方式の基礎検討， 第21回日本バーチャルリアリティ学会大会, 2016.9. 木原 快, 福嶋 政期, 苗村 健: “聞き手ロボットにおけるうなずきパラメータの検討”, 信学技報 MVE2016-54, vol. 116, no. 496, pp. 63 — 68 (2017.3). 中村 光貴，福嶋 政期，苗村 健: “場所法を応用したAR英単語学習システムに向けた基礎検討”, 情処全大, 4ZE-05 (2017.3). 平木 剛史, 福嶋 政期, 川原 圭博, 苗村 健. ハンドヘルドプロジェクタを用いた空間分割型可視光通信の提案, VR大会, 1B3-02 (2017.9). 阿部 知史, 荒見 篤郎, 平木 剛史, 福嶋 政期, 苗村 健. 不可視の色振動を用いた2次元パターンによるディスプレイ-カメラ間通信の基礎検討, VR大会, 2B2-02 (2017.9). 小松崎 涼一朗, 中村 光貴, 梶原 善之, 福嶋 政期, 苗村 健. グループワークにおける付箋のクラスタリング, 信学技報 MVE2017-38, vol. 117, no. 392, pp. 57 – 62 (2018.1). 中村 光貴, 荒見 篤郎, 上久保 竜輝, 福嶋 政期, 苗村 健. 英単語暗記システムのための綴りの類似性に関する基礎検討, 信学技報 MVE2017-37, vol. 117, no. 392, pp. 51 – 56 (2018.1). 成果展示，“JST-CREST×日本科学未来館研究棟 Open Lab 2013 「みらいの ふつうの つくりかた」”，2013. 12. 14, 15. シンポジウム，“公開ミーティング 現実拡張戦略 第一回 <ミュージアム>”，2014. 1. 8. シンポジウム，“公開ミーティング 現実拡張戦略 第二回 <ペダゴジカルマシン>”，2014. 1. 27. シンポジウム，“公開ミーティング 現実拡張戦略 第三回 <産業文化と科学館>”，2014. 7. 31. 成果展示，“JST主催シンポジウム「情報学による未来社会のデザイン～健全でスマートな社会システムに向けて～ 第三回 人間力・社会力を強化する情報技術」”, 2014. 12. 5. 成果展示，“未来館オープンラボ2015～未知の世界の扉を開け～ フリーウォーク”, 2015. 10. 24. 25. 成果展示, “未来館オープンラボ2016・夏～ようこそ、未来を生み出す現場へ！～”，2016. 8. 6, 7.